What if I need a receipt for reimbursement? Your confirmation email serves as your receipt. 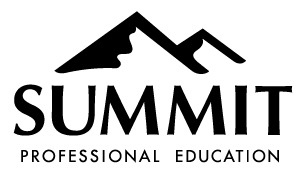 Should this not suffice, please call our Customer Service at (800) 433-9570 or email us at customerservice@summit-education.com. How should I expect to receive my registration confirmation? How are CE/CEU approvals handled or obtained?